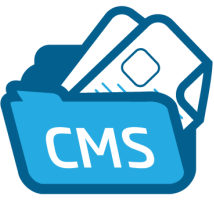 Monstra is a modern and lightweight Content Management System. It is Easy to install, upgrade and use. Easy to install, upgrade and use. Monstra installation only takes a few minutes. Without any databases to configure! Monstra uses best frontend and backend optimization practice. Monstra minify html, css, js files to Reduce Payload Size. Also combine css and js files to Reduce HTTP Round-Trips. Monstra fully responsive for mobile devices, tablets, and normal computer screens. Monstra is dedicated to creating a user friendly environment to build, monitor and update your website. Monstra provides amazing api's for plugins, themes and core developers! You can create several adminstrators, editors, users for your site. Sign up for our UK Monstra Hosting with no risk to try our excellent service start from £2.99/month! ASPHostDirectory.com offers cheap Monstra Hosting to all our new and existing UK customers. You can try our services before buy it. Get FREE 7 days Trial Hosting with us. There's no obligation to buy — you can upgrade to a more robust account or cancel at any time. No risk anymore, why wait longer?